The club are delighted to announce the signing of free – agent midfielder Daniel Armstrong on a short – term deal until mid January 2019. 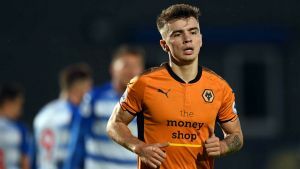 The 21 year old started his football career at Hamilton Accies, and joined Wolverhampton Wanderers on a 3 year deal in 2015. Daniel gained experience of the SPFL Championship when he signed for Dunfermline Athletic in January 2018 on loan. His arrival will give balance to the first team, as he plays in the wide positions, as well as a goal threat from midfield.